The impact of digital technologies on music has been overwhelming: since the commercialisation of these technologies in the early 1980s, both the practice of music and thinking about it have changed almost beyond all recognition. From the rise of digital music making to digital dissemination, these changes have attracted considerable academic attention across disciplines,within, but also beyond, established areas of academic musical research. 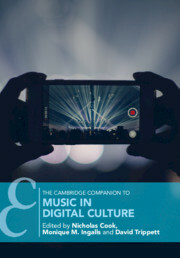 Through chapters by scholars at the forefront of research and shorter 'personal takes' from knowledgeable practitioners in the field, this Companion brings the relationship between digital technology and musical culture alive by considering both theory and practice. 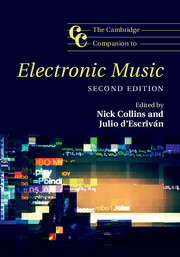 It provides a comprehensive and balanced introduction to the place of music within digital culture as a whole, with recurring themes and topics that include music and the Internet, social networking and participatory culture, music recommendation systems, virtuality, posthumanism, surveillance, copyright, and new business models for music production. 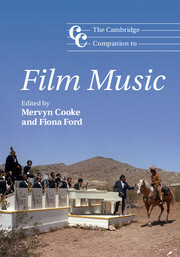 This wide-ranging and thought-provoking collection of specially-commissioned essays provides a uniquely comprehensive overview of the many and various ways in which music functions in film soundtracks. Citing examples from a variety of historical periods, genres and film industries - including those of the USA, UK, France, Italy, India and Japan - the book's contributors are all leading scholars and practitioners in the field. They engage, sometimes provocatively, with numerous stimulating aspects of the history, theory and practice of film music in a series of lively discussions which will appeal as much to newcomers to this fascinating subject as to seasoned film music aficionados. Innovative research and fresh interpretative perspectives are offered alongside practice-based accounts of the film composer's distinctive art, with examples cited from genres as contrasting as animation, the screen musical, film noir, Hollywood melodrama, the pop music and jazz film, documentary, period drama, horror, science fiction and the Western. The term 'Jewish music' has conveyed complex and diverse meanings for people around the world across hundreds of years. 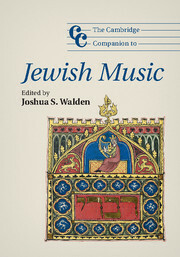 This accessible and comprehensive Companion is a key resource for students, scholars, and everyone with an interest in the global history of Jewish music. Leading international experts introduce the broad range of genres found in Jewish music from the biblical era to the present day, including classical, religious, folk, popular, and dance music. Presenting a range of fresh perspectives on the subject, the chapters explore Jewish liturgy, Klezmer, music in Israel, the music of Yiddish theatre and cinema, and classical music from the Jewish Enlightenment through to the postmodern era. Additional contributions set Jewish music in context and offer an overview of the broader issues that arise in its study, such as questions of Diaspora, ontology, economics, and the history of sound technologies. France has a long and rich music history that has had a far-reaching impact upon music and cultures around the world. 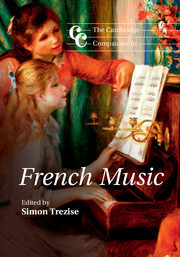 This accessible Companion provides a comprehensive introduction to the music of France. 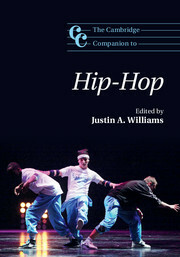 With chapters on a range of music genres, internationally renowned authors survey music-making from the early middle ages to the present day. The first part provides a complete chronological history structured around key historical events. 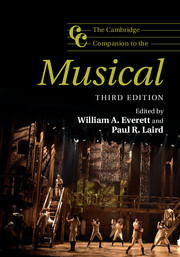 The second part considers opera and ballet and their institutions and works, and the third part explores traditional and popular music. In the final part, contributors analyse five themes and topics, including the early church and its institutions, manuscript sources, the musical aesthetics of the Siècle des Lumières, and music at the court during the ancien régime. 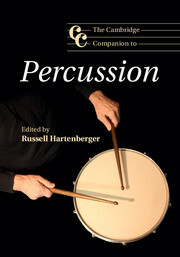 Illustrated with photographs and music examples, this book will be essential reading for both students and music lovers. Duke Ellington is widely held to be the greatest jazz composer and one of the most significant cultural icons of the twentieth century. This comprehensive and accessible Companion is the first collection of essays to survey, in depth, Ellington's career, music, and place in popular culture. An international cast of authors includes renowned scholars, critics, composers, and jazz musicians. 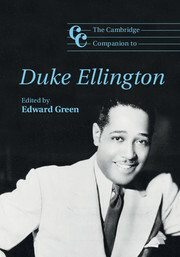 Organized in three parts, the Companion first sets Ellington's life and work in context, providing new information about his formative years, method of composing, interactions with other musicians, and activities abroad; its second part gives a complete artistic biography of Ellington; and the final section is a series of specific musical studies, including chapters on Ellington and song-writing, the jazz piano, descriptive music, and the blues. Featuring a chronology of the composer's life and major recordings, this book is essential reading for anyone with an interest in Ellington's enduring artistic legacy. 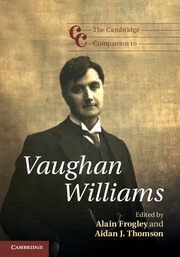 An icon of British national identity and one of the most widely performed twentieth-century composers, Ralph Vaughan Williams has been as much misunderstood as revered; his international impact and enduring influence on areas as diverse as church music, film scores and popular music has been insufficiently appreciated. This volume brings together a team of leading scholars, examining all areas of the composer's output from new perspectives, and re-evaluating the cultural politics of his lifelong advocacy for the music-making of ordinary people. 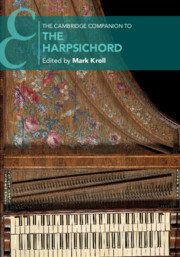 Surveys of major genres are complemented by chapters exploring such topics as the composer's relationship with the BBC and his studies with Ravel; uniquely, the book also includes specially commissioned interviews with major living composers Peter Maxwell Davies, Piers Hellawell, Nicola Lefanu and Anthony Payne. 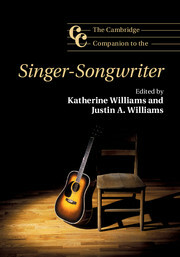 The Companion is a vital resource for all those interested in this pivotal figure of modern music. Few genres of the last 250 years have proved so crucial to the course of music history, or so vital to public musical experience, as the symphony. This Companion offers an accessible guide to the historical, analytical and interpretative issues surrounding this major genre of Western music, discussing an extensive variety of works from the eighteenth century to the present day. 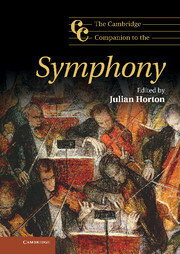 The book complements a detailed review of the symphony's history with focused analytical essays from leading scholars on the symphonic music of both mainstream composers, including Haydn, Mozart and Beethoven and lesser-known figures, including Carter, Berio and Maxwell Davies. 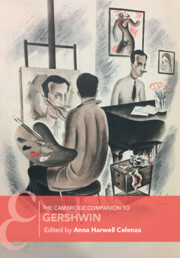 With chapters on a comprehensive range of topics, from the symphony's origins to the politics of its reception in the twentieth century, this is an invaluable resource for anyone with an interest in the history, analysis and performance of the symphonic repertoire. Sir Michael Tippett is widely considered to be one of the most individual composers of the twentieth century, whose music continues to be performed to critical acclaim throughout the world. 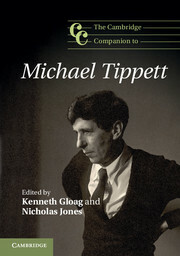 Written by a team of international scholars, this Companion provides a wide ranging and accessible study of Tippett and his works. It discusses the contexts and concepts of modernism, tradition, politics, sexuality and creativity that shaped Tippett's music and ideas, engaging with archive materials, relevant literature and models of interpretation. Chapters explore the genres in which Tippett composed, including opera, symphony, string quartet, concerto and piano sonata, to shed new light on his major works and draw attention to those that have not yet received the attention they deserve. Directing knowledge and expertise towards a wide readership, this book will enrich the listening experience and broaden understanding of the music of this endlessly fascinating and challenging composer. With its powerful combination of music and theatre, opera is one of the most complex and yet immediate of all art forms. Once opera was studied only as 'a stepchild of musicology', but in the past two decades opera studies have experienced an explosion of energy with the introduction of new approaches drawn from disciplines such as social anthropology and performance studies to media theory, genre theory, gender studies and reception history. 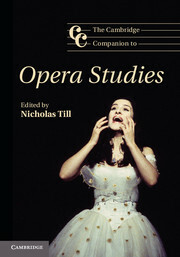 Written by leading scholars in opera studies today, this Companion offers a wide-ranging guide to a rapidly expanding field of study and new ways of thinking about a rich and intriguing art form, placing opera back at the centre of our understanding of Western culture over the past 400 years. This book gives lovers of opera as well as those studying the subject a comprehensive approach to the many facets of opera in the past and today. Choral music is now undoubtedly the foremost genre of participatory music making, with more people singing in choirs than ever before. Written by a team of leading international practitioners and scholars, this Companion addresses the history of choral music, its emergence and growth worldwide and its professional practice. The volume sets out a historical survey of the genre and follows with a kaleidoscopic bird's eye view of choral music from all over the world. Chapters vividly portray the emergence and growth of choral music from its Quranic antecedents in West and Central Asia to the baroque churches of Latin America, representing its global diversity. 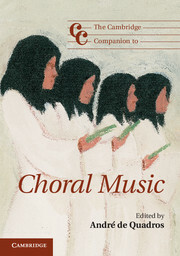 Uniquely, the book includes a pedagogical section where several leading choral musicians write about the voice and the inner workings of a choir and give their professional insights into choral practice. This Companion will appeal to choral scholars, directors and performers alike. Arvo Pärt is one of the most influential and widely performed contemporary composers. Around 1976 he developed an innovative new compositional technique called 'tintinnabuli' (Latin for 'sounding bells'), which has had an extraordinary degree of success. It is frequently performed around the world, has been used in award-winning films, and pieces such as Für Alina and Spiegel im Siegel have become standard repertoire. 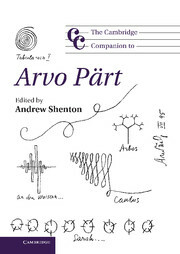 This collection of essays, written by a distinguished international group of scholars and performers, is the essential guide to Arvo Pärt and his music. The book begins with a general introduction to Pärt's life and works, covering important biographical details and outlining his most significant compositions. Two chapters analyze the tintinnabuli style and are complemented by essays which discuss Pärt's creative process. The book also examines the spiritual aspect of Pärt's music and contextualizes him in the cultural milieu of the twenty-first century and in the marketplace. From the emergence of plainsong to the end of the fourteenth century, this Companion covers all the key aspects of medieval music. Divided into three main sections, the book first of all discusses repertory, styles and techniques - the key areas of traditional music histories; next taking a topographical view of the subject - from Italy, German-speaking lands, and the Iberian Peninsula; and concludes with chapters on such issues as liturgy, vernacular poetry and reception. 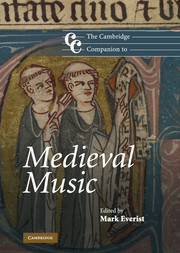 Rather than presenting merely a chronological view of the history of medieval music, the volume instead focuses on technical and cultural aspects of the subject. Over nineteen informative chapters, fifteen world-leading scholars give a perspective on the music of the Middle Ages that will serve as a point of orientation for the informed listener and reader, and is a must-have guide for anyone with an interest in listening to and understanding medieval music.